If you still haven't tried out Undertale, now's the time. Still haven't had a chance to try out games like The Red Strings Club or Undertale? Steam is making that more enticing for you than ever, with the Made with GameMaker sale, going on now. Not only are all versions of GameMaker Studio 2 available for sale at 33 percent off, but there's a selection of games made with the suite as well that you'll definitely want to make sure you get your hands on. 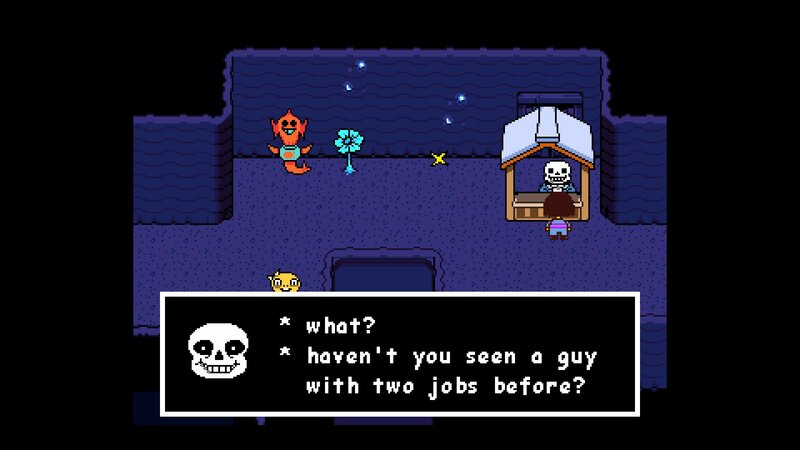 Undertale is 50 percent off, which makes it just $4.99 – that's a step for such an awesome game, that's for sure. Meanwhile, The Red Strings Club is 50 percent off as well for just $7.49. Other standouts include Alone With You at 50 percent off for $4.99, Crashlands at 33 percent off for $10.04, and Kingsway at 50 percent off for $4.99. There's more, though – you won't want to miss out on Minit at 33 percent off for $6.69, Nidhogg at 50 percent off for $4.99, or the amazing Cook, Serve, Delicious! 2 at 50 percent off for $6.49. There's a veritable treasure trove of excellent titles here that you've got to pore over, so head on over to the Steam sale page to take a look. Check out the full list here, and let us know which games you end up choosing! Wuppo is an amazing game and none of you have played it. Please buy it. Also GMS2 is on sale. Shackers that want to learn how to program should look into it. GML is a strange language but after a while it's actually kinda fun to use.